← Workshop- Let’s Go Geocaching! The workshop will be comprised of hands-on lessons from CWF’s Fishways educational program and MWF’s angling programs. These lessons will teach educators specific activities to engage youth in the discovery of aquatic habitat and species. Lessons will include Fishways activities like “Reel Estate: Homes for Fish,” an activity that explores the characteristics of fish habitat through discussion and art, and MWF’s “Gone Fishin’” introductory angling lesson. Participants will be provided with a tool-kit for developing related lesson plans for youth, and will receive information on further available resources. At Concordia University in Montreal, Quebec, Christine obtained a Bachelor of Arts with Distinction in Communication Studies before going to work in the publishing industry. However, before long her love of education (brought on by being raised by two high school teachers) returned her to Concordia to undertake a Master’s degree in Educational Technology – where she found her passion: combining instruction with technology to create immersive experiences for learning. She graduated in 2011 with a strong foundation in e-learning, human performance and knowledge management. During her career as an Instructional Designer, Christine has worked with a variety of institutions, including Concordia University’s Centre for the Study of Learning and Performance and the Canadian Space Agency. She has developed educational programs for learners including elementary and high school students, teachers, education professionals, members of the military and even astronauts! Christine joined the Canadian Wildlife Federation in April 2012 and since then she has been putting her instructional design background to work, developing interactive learning experiences for CWFs educational programs such as Sail for Wildlife and Wild Education, a professional development program that features interactive indoor and outdoor activities for youth that focus on wildlife and the environment. Carolyn’s career with the MWF began recently, when she started in the role of Program Manager in January 2012. She has a strong background of work and volunteer experience with outdoors and non-profit organizations, through which the majority of her efforts have focused on program development, project management, and communications. She is an avid angler, hunter, archer, and hiker. Carolyn’s work has touched on many areas of recreational angling. She began her career in marketing at Lund Boats, and later worked on program development for Lund and the Faculty of Fishing. 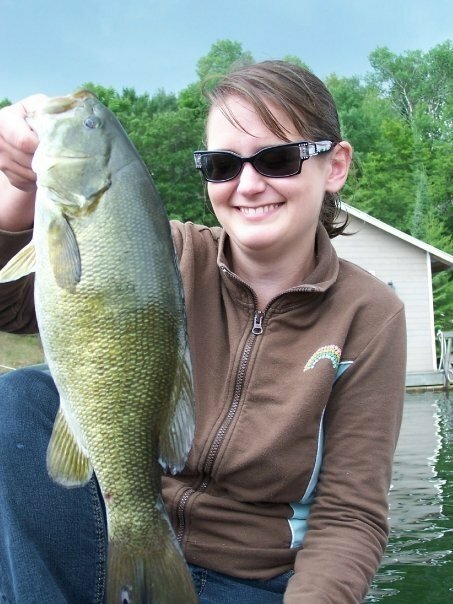 She has also published outdoors articles in Hooked Magazine, the Outdoor Edge, and Sun Media papers. Through volunteer work, Carolyn has organized several learn-to-fish events for youth and non-profit groups, and has run both professional and family-oriented fishing tournaments. Carolyn’s additional career experience has included five years in the media as Special Projects Manager, and several large-scale freelance projects in writing, editing, and project management. In her career with the MWF, Carolyn is responsible for overseeing existing MWF programs, including Hunter Education, Recreational Fishing Leagues, mentored hunts, and Becoming and Outdoors-Woman. She is an active participant in Winnipeg’s Urban Angling Partnership, contributing to events such as the Winnipeg Fish Festival. She will also develop new programs and partnerships to further engage Manitobans in the outdoors and encourage youth and families to participate. This entry was posted in Blog, Events, Summit 2012, Workshops and tagged aquatic ecosystems, Canadian Wildlife Federation, Carolyn Kosheluk, Christine Kelly, Fishing, Fishing with children, Fishways, Manitoba Wildlife Federation, nature summit, workshops. Bookmark the permalink.